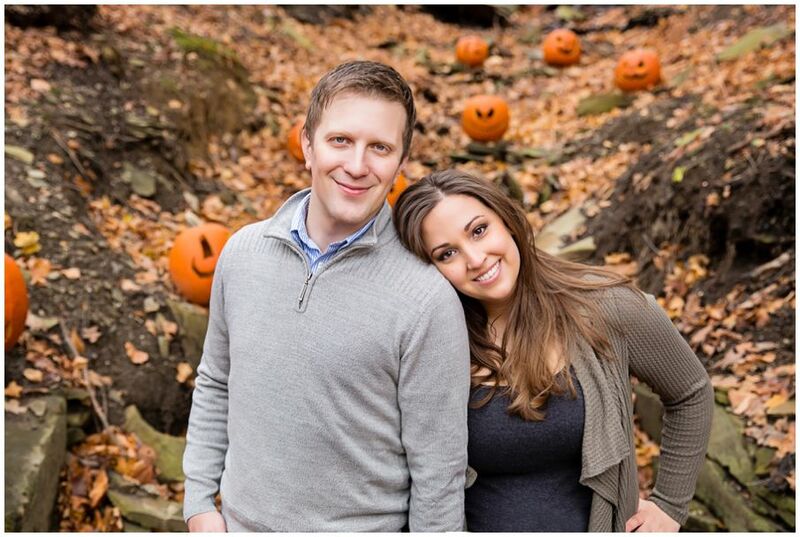 One last fall engagement session for the year! I met Jenna and Allen up in Akron and they showed me around some gorgeous parks I'd never been to before! These random Jack-o-Lanterns in the park made for some of my favorite photos. Jenna told me there were some really cool gazebos in this park... my jaw dropped when I actually saw them!! Total fairy tale! You two are so sweet and I'm so excited to be capturing your wedding next year! !